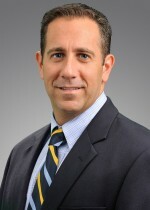 Portland, Maine-based Baker Newman Noyes (FY13 net revenue of $27.7 million) announced that Mark Audi joined the firm as PIC of its Boston office. “Mark brings a wealth of experience to our practice in audit and accounting, as well as the Boston and Massachusetts markets. We are excited to welcome him into our firm,” says Eleanor Baker, MP. Prior to joining the firm, Audi served as assurance services senior manager at a Big 4 firm in Boston. He has more than 15 years of experience with convertible debt instruments, sale-leaseback transactions, hedge transactions, impairment considerations, reporting and operating segments, acquisitions and challenging consolidation models.